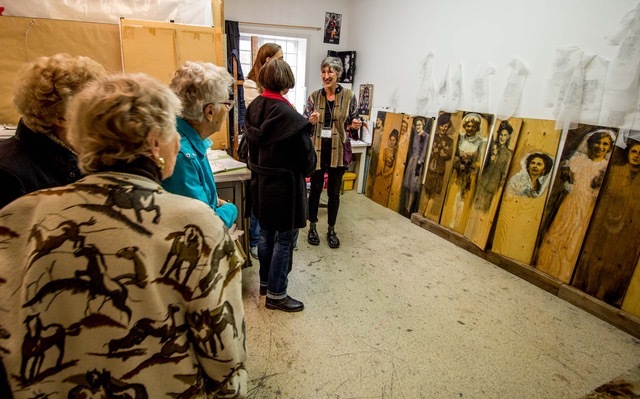 The East Side Studio Crawl is an annual open studio event that takes place each September in the communities of Inglewood and Ramsay in Calgary, AB. 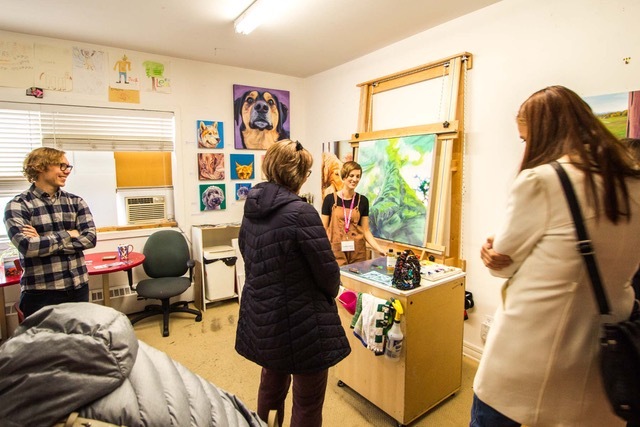 It offers the public a behind the scenes opportunity to explore and engage with visual artists in their work space and allows participants to experience the raw creative process. 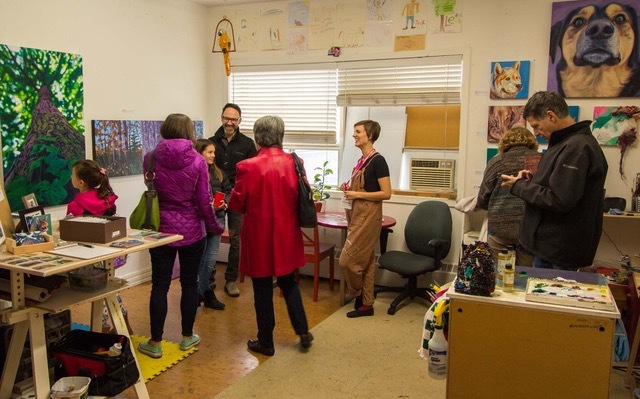 You are invited to the annual East Side Studio Crawl where you will explore the creative spaces of established and emerging artists in Calgary. Prepare to be visually indulged and creatively inspired. Whether you are an artist, enthusiast, student, collector or simply curious, this Crawl is for you! 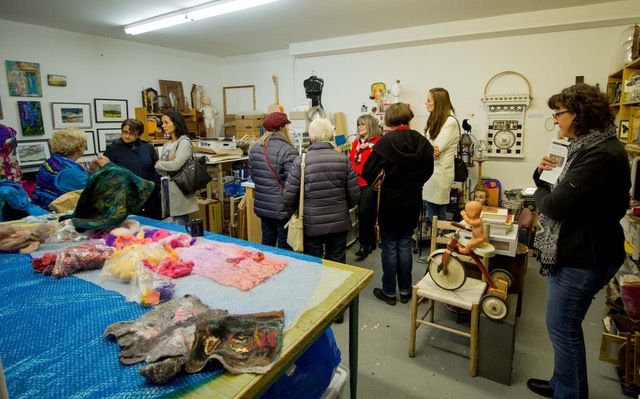 On Saturday, September 21 in Inglewood and Ramsay, you can walk/bike to participating studios spread over six locations: Burns Visual Arts Society, Artpoint, Heritage Weavers, Jeff de Boer, Workshop Studios and NVRLND. 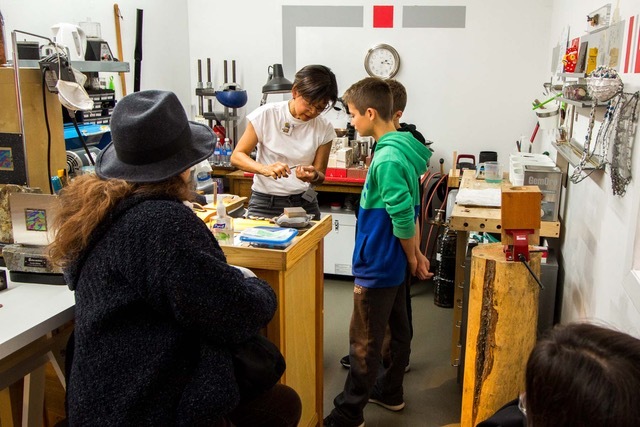 From 11-5pm you will meet an eclectic group of creators that paint, sculpt, work with metals, textiles, ceramics, etc. – if you imagine it they are likely creating it. The Crawl is fun, free and family friendly. Burns Visual Arts Society is located at 828 – 24 Avenue SE. 828 – 24th Ave S.E. 1139 – 11th St S.E. 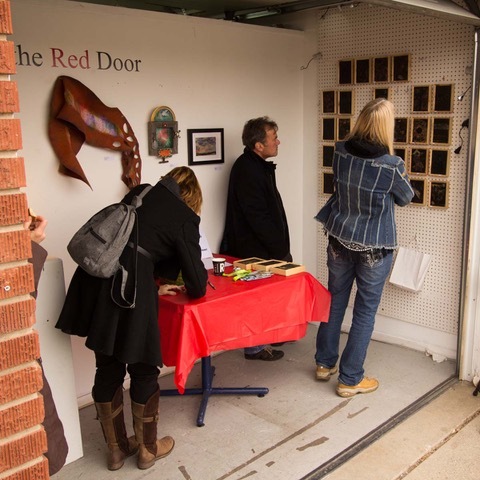 Here is a chance to talk with some of Calgary’s well known artists and find out more about their art and best of all it is free. The Burns Visual Arts Society would like to thank the Alberta Foundation for the Arts for their continued and generous support!